"Portland City Hall : Interior View." Portland City Hall : Interior View. 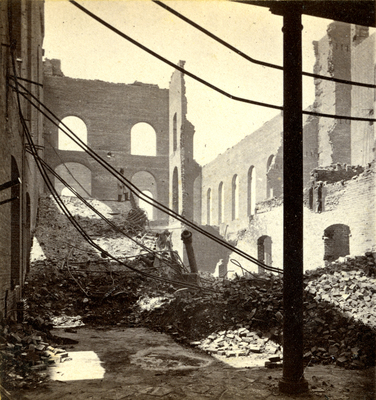 Interior view of Portland City Hall, after Great Fire. 3x3" albumen print, from stereoscope card. Photographed by J.P. Soule, Boston, MA. "Portland City Hall : Interior View." (1866). The Great Fire : 1866 - Stereoscopic views. 17. Portland, Me., Great Fire, Portland, Me., 1866, Portland City Hall.